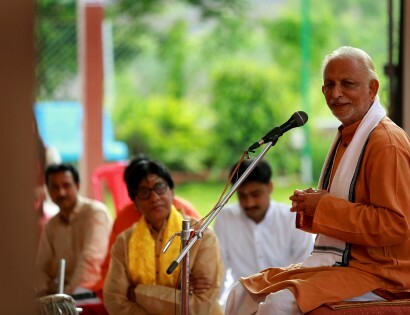 Sri M will observe a day-long fast, Nirahar Satyagraha – Aatankvaad Aur Himsa Ke Khilaf , on 6 September 2015, from 7.00 am to 4.00 pm. 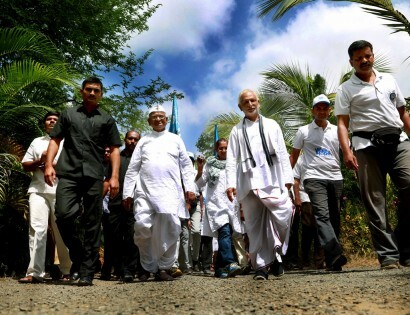 Shri Ahmed Patel, MP welcomed Sri M and the Walk of Hope at Kharod on 23 August 2015. 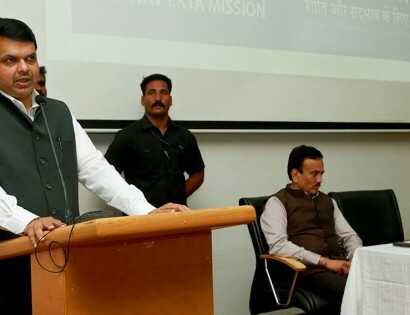 The Chief Minister Devendra Fadnavis praised the endeavour as a valuable contribution for national development. 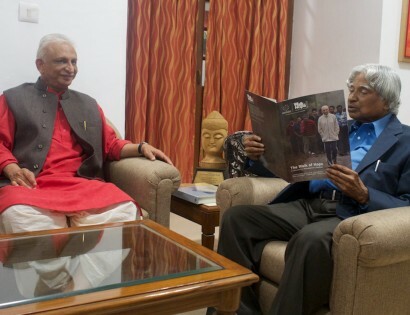 Sri M said the late former president believed that “you need to dream for your dreams to come true”. 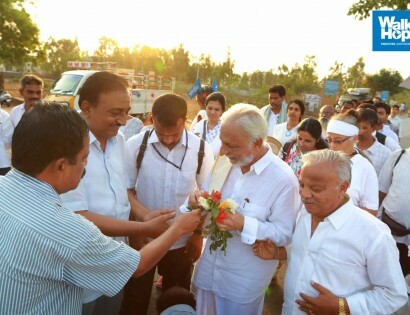 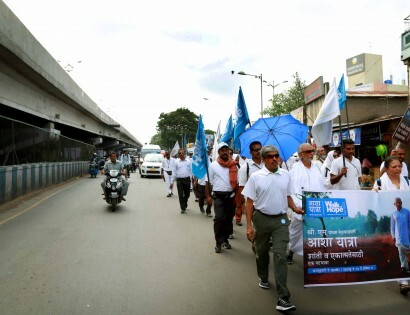 Day 183 was a very special day for the entire contingent of padayatris of the Walk of Hope. 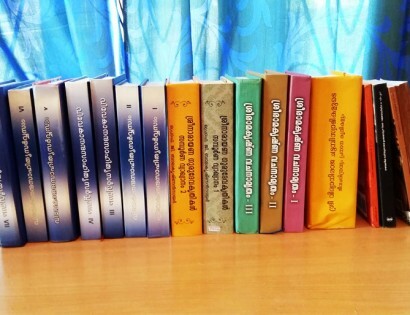 Creating a mini-library on spirituality. 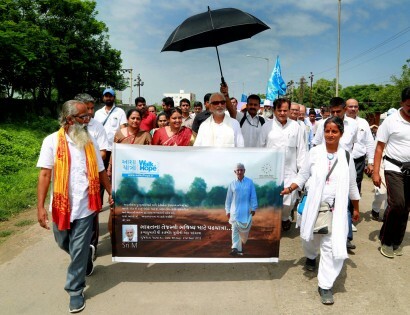 Walk of Hope 2015-16 will NOT be passing through or staying at Alandi for the days of July 6, 7, 8, 9 . 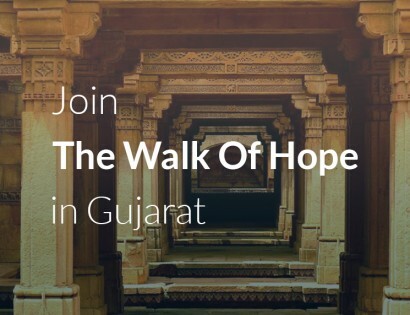 Stay Updated on the Walk of Hope 2015-16 by accessing the Journal of Hope or by Subscribing to its RSS Feed.